I wanted to have some clafications about console Application. Do I need to RunCmd.exe to execute commands ? How can I create my own RunCmd.exe ? 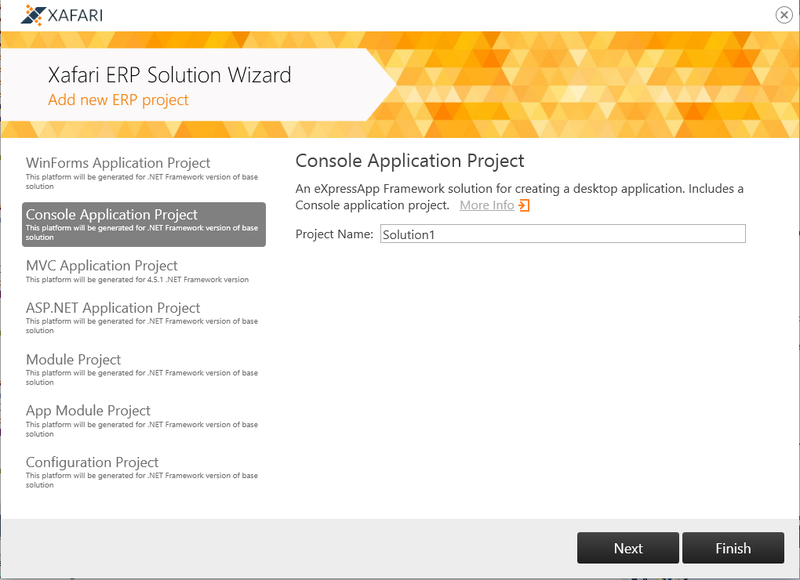 What is the use of the Console Application created with the ERP wizard? Xafari Commands are designed to run in the console application RunCmd. You can create your own RunCmd.exe using the ERP Wizard. In Xafari ERP Solution Wizard select Console Application Project. More information can be found in the Console Application topic.